There’s an old saying that real estate is all about location, location, location. To Michelle it is all about location, location, coastal! With a professional background in international marketing and public relations, coupled with her knowledge of architecture and sales negotiations, her clients have been successful in selling and buying residences by relying on her exceptional and unique skills. Michelle’s success comes from the business strategy she applies to the essence of the story of the home. It is how she can stir the senses and inspire the minds of potential buyers and attract them to a home she is representing through the strategic and artful use of social and digital media, video and architectural photography. This unique talent has allowed her to become one of the leading agents in La Jolla and the surrounding coastal communities earning a spot in the top 2% in the nation, being named one of the 100 Most Influential Agents in Southern California, and membership into some of the most prestigious real estate groups. Michelle lives with her husband in La Jolla. 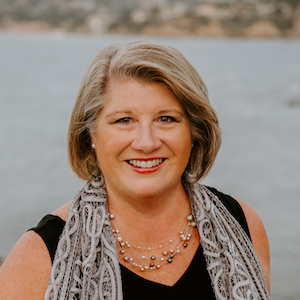 She is active in the community serving on the Board for the St. Germaine’s Children Charities Organization, is a corporate sponsor at the Museum of Photographic Arts (MOPA), is a member with the San Diego Estate Planning Council. She is an Architectural and Historic Homes Specialist, a Certified International Property Specialist and a Trust and Probate Specialist.